The SURFACE stabilizer maintains a stable indenter housing temperature despite high room temperature variations. Nanoindentation measurements are prone to drift issues, because the high accuracy with sub-nanometer resolution of the nanoindentation technique can be adversely affected by the variation of the ambient temperature. 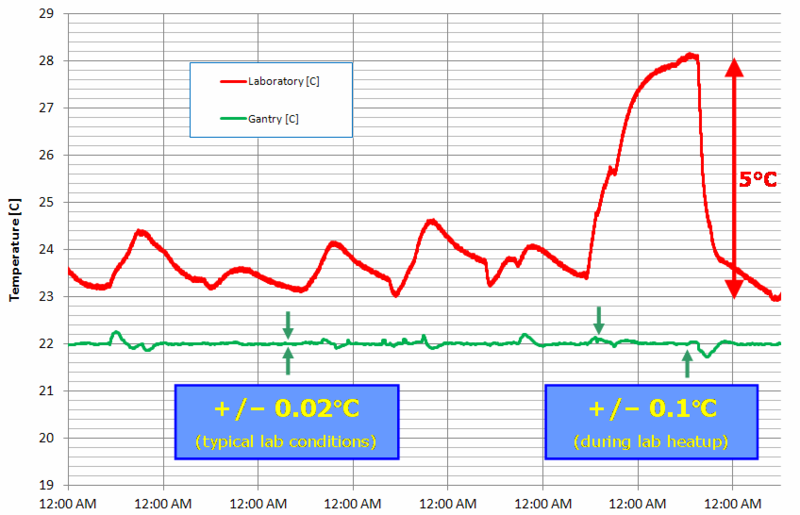 Maintaining a higly stabilized laboratory temperature is cumbersome and expensive. The SURFACE stabilizer overcomes these problems by gentle cooling or heating of the nanoindenter housing to control the indenter temperature. This allows precise and highly repeatable measurements. 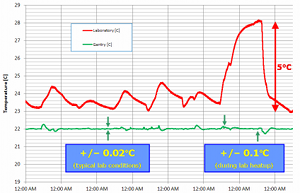 Room temperature has to be very stable for precise measurements! 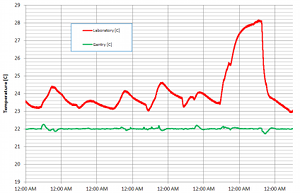 Temperature of laboratory and instrument for six days. 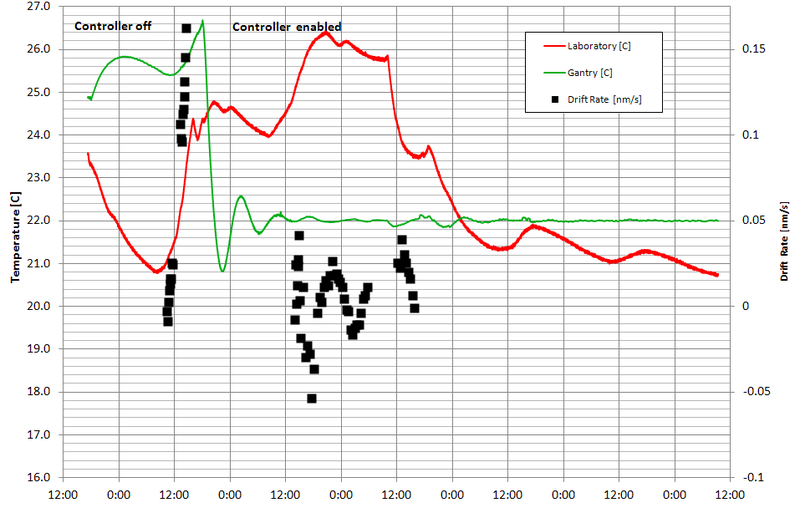 Measured drift rates reveal the positive effect of the stabilizer! 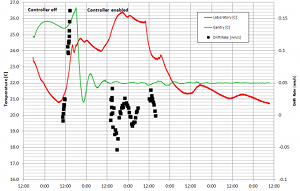 The plot on the right shows the instrument temperature and indentation drift rates, first without temperature control, and later with the SURFACE stabilizer temperature control enabled. 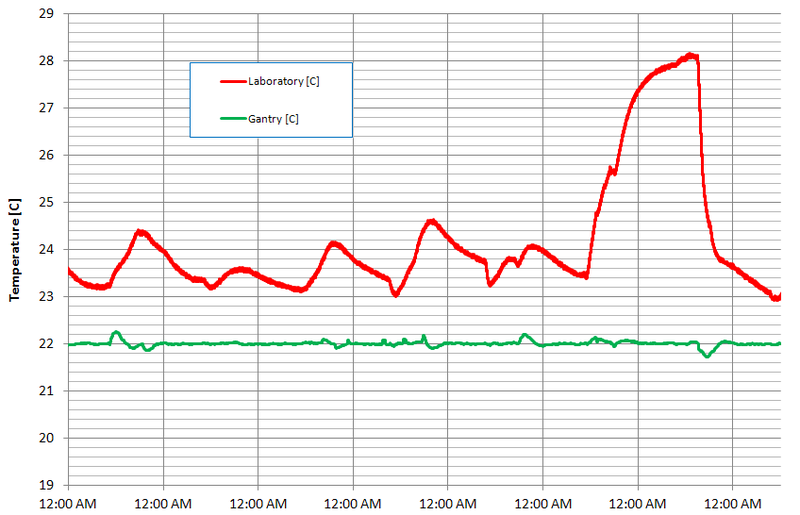 High drift rates in the afternoon! Accurate measurements over the whole day! 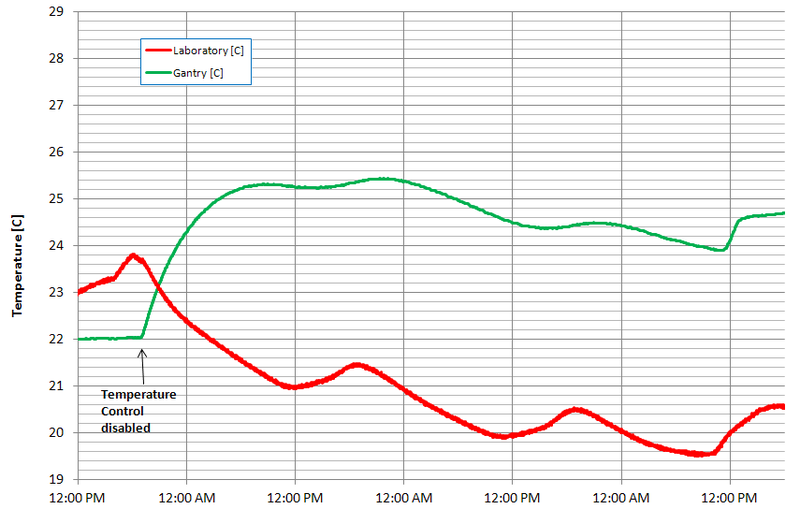 Load vs. displacement curves at 22 °C into fused silica. 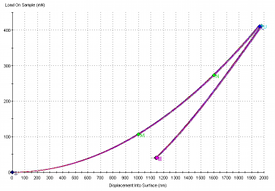 No drift correction is needed to get reproducible results! Load vs. displacement curves for a Berkovich indenter using a standard indentation method. 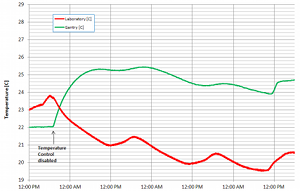 Displayed are 25 curves, measured over a span of 12 hours. No surface find correction or drift correction has been applied to the data!